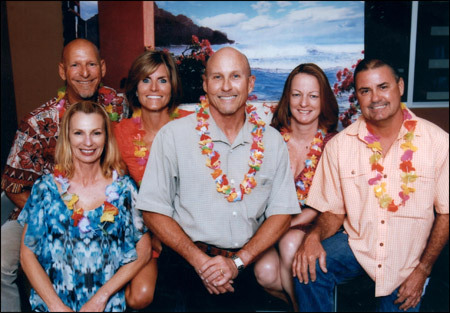 Paul Rice, pictured here along with his wife and friends, again sponsored the Futures Foundation's annual Caribbean Feast for 2013. This year's event enjoyed a new venue at the Marina Grande condominiums on the Halifax River. The Futures Foundation supports educational quality for the Volusia County School System by directing resources toward areas of identified need, increasing community involvement and support, and encouraging open communication between the community and our schools. In this photo from left to right are Wanda (bottom) and Carl Fields, Kristi and Paul Rice, and Ellen and Mike Cain.